Cranes have always been important in the history and culture of this country and over 270 place names derive from the crane (which is more than any other bird) using the Anglo Saxon suffix Cran and the Norse suffix Tran. This is something that the staff and pupils from All Hallows prep school at East Cranmore near Shepton Mallett take very seriously. The school is based at Cranmore Hall and even their School emblem is a crane! So proud are they of this conection that they linked a whole school project to the Great Crane Project! A Home Fit For A Crane! A couple of weeks ago Damon blogged about some of the habitat creation work that we are doing at the momment and at the time it was a work in progress. The diggers have now gone and the area looks a whole lot different! 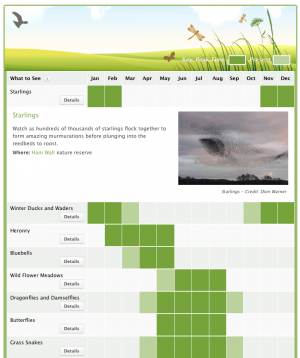 New Nature Calendar goes Live! We are pleased to announce the launch of a new Somerset Levels and Moors Nature Calendar on this site. Using pictures taken by local volunteers it shows when and where to see some of the best nature experiences the area has to offer . From bitterns to butterflies and grass snakes to great white egrets discover whats out there by clicking on the Nature Calendar tab across the top of this page and explore away! 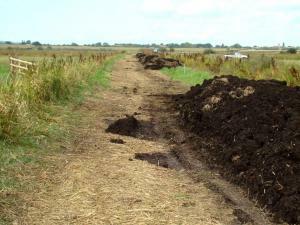 It looks like there have been a plague of giant moles on the RSPB's West Sedgemoor Reserve at the moment. On Tuesday we released the final batch of 17 cranes into the Levels & Moors. 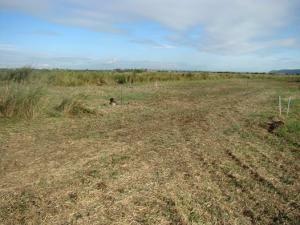 Spent a while this morning in the tractor, preparing the ground in readiness for contractors to start work creating a potential crane breeding zone at the heart of the West Sedgemoor RSPB reserve.